DAWSON-WAM ltd was appointed by Whitemountain Construction Ltd to carry out the installation of a contiguous piled retaining wall to enable the construction of a new MLA’s carpark to the rear of parliament buildings and in the interim provide an area where mobile cranes could be erected to carry out essential repair work to the roof. The works involved the design and installation of 136nr contiguous piles – 630mm diameter at 730mm centres and 12m long – cored into very stiff clay containing cobbles & boulders. DAWSON-WAM was awarded the contract on the basis of an alternative tender submission namely that of a contiguous piled wall in lieu of a temporary propped steel sheet piled wall. 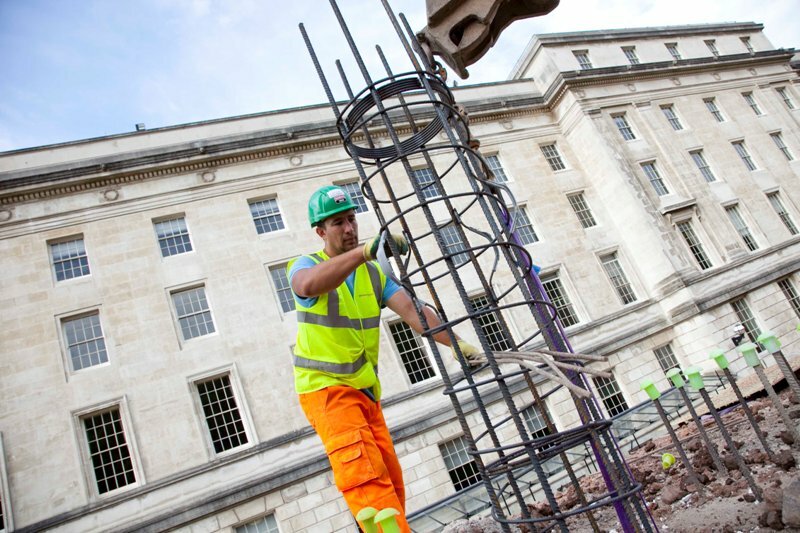 The key element of the project was the method of pile installation had to be both silent and vibrationless in operation due to the sensitive nature of the existing building. 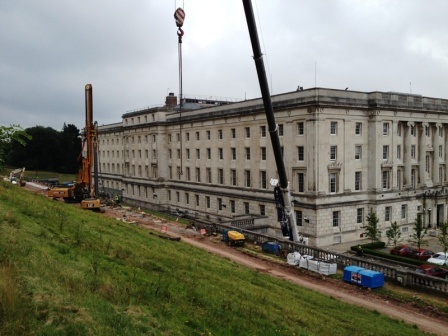 In addition the piling had to be completed within a 2 week parliamentary recess period during the July holidays.DAWSON-WAM utilised its virtually silent and vibration free cased augered pile system (CAP) which enabled the piles to be installed as close as 100mm from the adjoining parapet walls without causing any damage. The piles were augered through very stiff clay containing large cobbles and boulders. 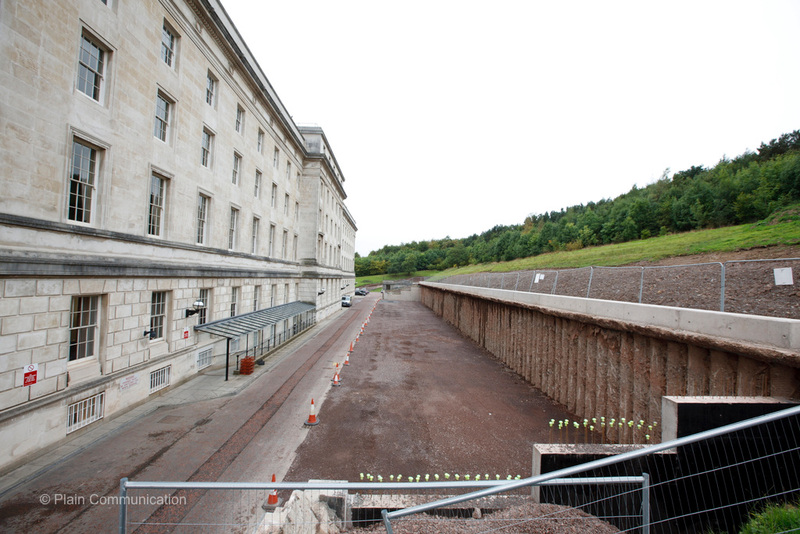 The wall was designed to deflect no more than 60mm at the head of the piles on completion of the 6.5m deep dig. 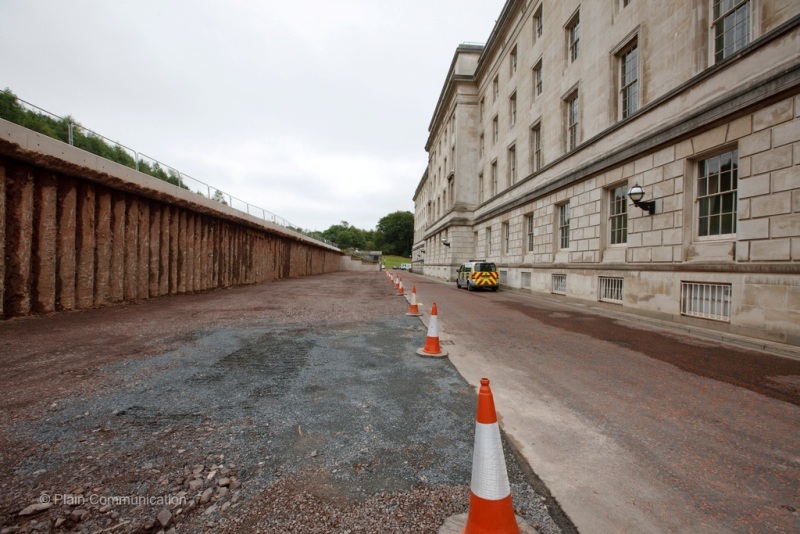 The wall was suitably monitored during the phased excavation to ensure the wall performed in line with the specification and design requirements. The project was completed in 1.5 weeks ahead of the anticipated programme enabling the construction of the reinforced capping beam and bulk excavation to commence earlier than expected. No complaints were received throughout the course of the project in what was deemed to be an extremely sensitive area. 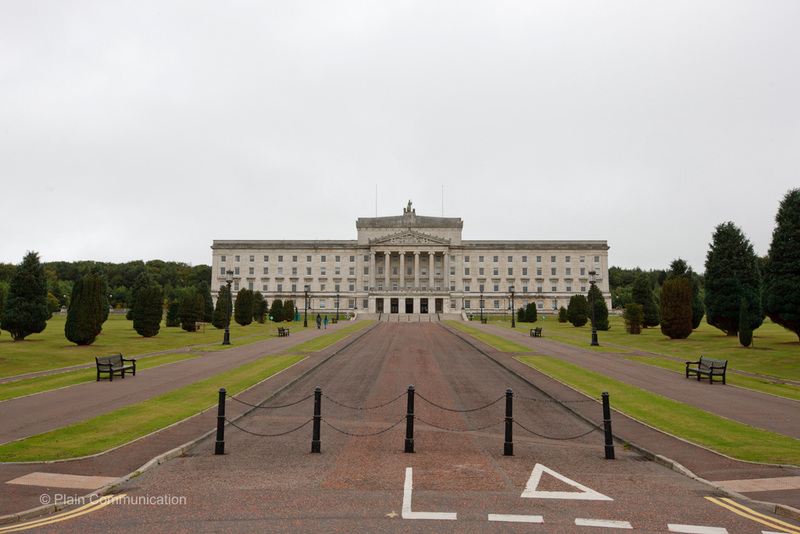 On completion Whitemountain Construction received a letter from the 1st Minister & Deputy 1st Minister commending DAWSON-WAM on their professionalism while onsite and speed in delivering the project.